Ken Levine, founder of Irrational Games and creator of the Bioshock series, announced today that he is “winding down Irrational Games as you know it.” In truth, Bioshock will live on, a new studio taking the torch and continuing to create steampunkish dystopias. This news may come as a sad surprise for some, but for us is a welcome headline. This isn’t because we hate Levine and the Bioshock franchise, in fact we’ve been champions of the series since its inception. Of course, our hearts go out to those who’ve lost their jobs and we’re sure that CVs with only the word “Bioshock” on them will be enough to insure their future as developers. However, the closure of Levine’s Irrational means the potential opening of new and important doors. 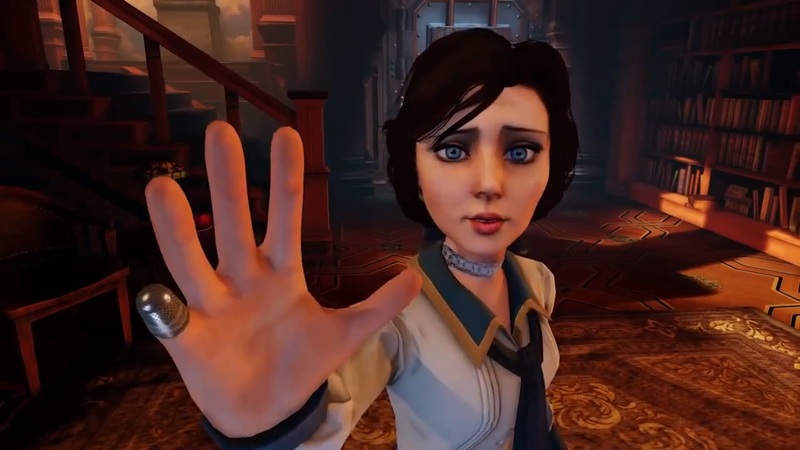 As we’ve argued before, Bioshock Infinite killed the series. The game’s wading into convoluted multi-dimensional waters undermined everything the original had established. The need for spectacle and contextual justification in Infinite forced this superfluous multi-verse device, what is the equivalent to Star War’s “midi-chlorian.” Infinite was guilty of not taking a stance, providing pseudo-sophisticated arguments that in trying to say a lot said nothing. The combat lacked depth and catered to an audience that was not the audience that allowed Bioshock to exist in the first place. The need to serve a huge audience, to throw out the widest available commercial net, undermined everything the first and even the much undervalued second game established. In an attempt to be the popular kid in school, Bioshock forgot about its real friends. So when we say “good riddance, Bioshock,” we really mean goodbye to the disappointment, the sales narratives, and the tarnished story that arose from the complex machinations of AAA game development. What we’ll get in return may be more significant for the medium than another stylish shooter. Levine stated that him and a small team of Irrational devs want “To make narrative-driven games for the core gamer that are highly replayable. To foster the most direct relationship with our fans possible, we will focus exclusively on content delivered digitally.” In other words, Levine may be turning to the indie games space to unleash his creative whims. This allows the Irrational leftovers to develop experimental and progressive new experiences without having to deal with profit and loss sheets or risk negation. “Replayable narrative” may end up being the beginning of another “sales narrative,” but escaping from the violating tendrils of AAA development, for the Irrational team, may be the most rational move they can make. I personally felt disappointed when I played Bioshock Infinite. I love System Shock 2. I’ve beaten the game multiple times. The original Bioshock made me want to play that game in the first place. But after finishing my first play through with Infinite, I could barely start my second.